Be a part of the Swim Strong Life Savers vendor fair and free swim event! The statistics are staggering. 1 in 5 children under the age of 8 are involved in a drowning incident. Many of these occur at the home. In 2017 Swim Strong Life Savers was created for the sole purpose of educating the Elk Grove community about water safety. 1 in 5 children under the age of 8 are involved in a drowning. Many of these drownings occur in the home. The good news is… drownings are 100% preventable. Join us and showcase your business as we educate the Elk Grove community on water safety. We are hosting a vendor fair for local businesses, mompreneurs and kid-based programs. 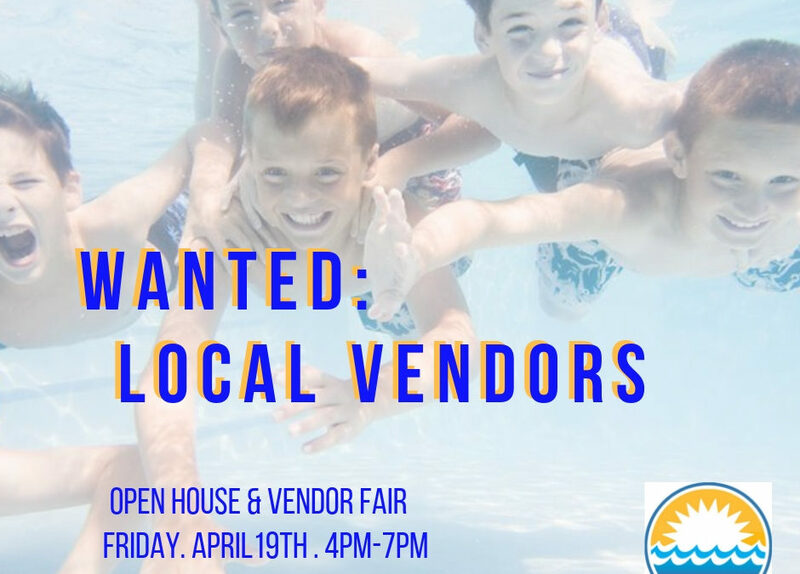 Our event will be held April 19, 2019 from 4:00-7:00pm at Sunshine Swim Center. Not only is this a chance for you to show off your business to Elk Grove families, but it’s an opportunity to network with other local business owners. This vendor fair has a minimal fee of $25.00 per booth space. All booth fees go towards Swim Strong’s 2019 Swim Strong Scholarship program and are tax deductible. Who can attend this event? All Elk Grove Families! Our guests will enjoy free admission for open swim, water safety education and shop our vendor tables. To participate in the Open House and Vendor Fair please complete the vendor application and submit it through “Google Forms”. There are a limited number of vendor spaces and we will accept vendors on a first come first serve basis. Your spot will be secured only after we receive your completed application and payment of $25.00. Space rental is $25.00 per one 6 foot rectangular table space. Vendor sales are not guaranteed by Swim Strong Life Savers. Display area is a 6’ rectangular table within the Banquet Hall. If a greater space is needed you will need to request and pay for additional table space. Vendors are required to supply their own 6 foot rectangular table, samples, marketing materials, activities and prizes. Swim Strong will supply white folding chairs. All fire codes, laws, ordinances and regulations pertinent to health, fire prevention, and public safety shall be strictly obeyed. Vendor agrees to allow photographs and video of booth during the event for no additional compensation. Vendor/staff/employees must adhere to all vendor policies. Risk of ejection if you do not comply. Swim Strong Life Savers will use its current marketing outlets; website, Facebook, Sacramento4kids.com, Macaroni Kids, Hula Frog, email and paper marketing materials. We have been approved to send our event flier through the Elk Grove School District and anticipate its reach to be over 10,000 families. We ask that you share our event through your marketing avenues as well to help spread the word. After your spot is secured with application and payment, we will email you regarding your logo and additional details regarding the event. Elk Grove’s premier swim and fitness center. We are excited to offer a variety of dynamic programs for all ages and abilities. Our goal is to provide a comfortable, fun and positive learning environment, where students gain strength, confidence, and a love for fitness.